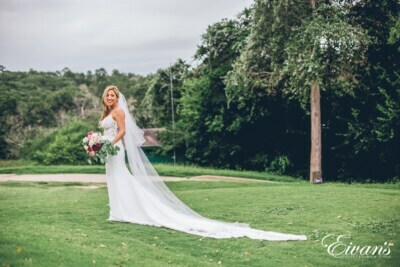 Veronica and Cason celebrated a beautiful dream wedding at The Mansion at ColoVista in Bastrop, Texas, on July 7, 2018. 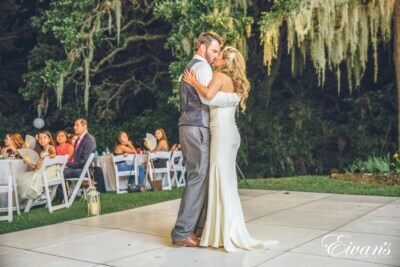 The lovely occasion was memorialized on a lovely Texas evening. 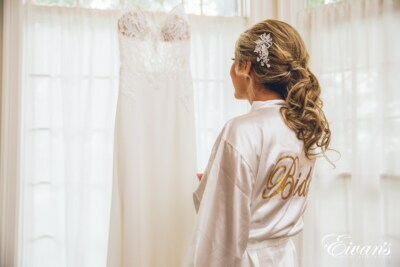 Veronica began her wedding day preparations with a professional hair and makeup session while wearing a white bridal robe. 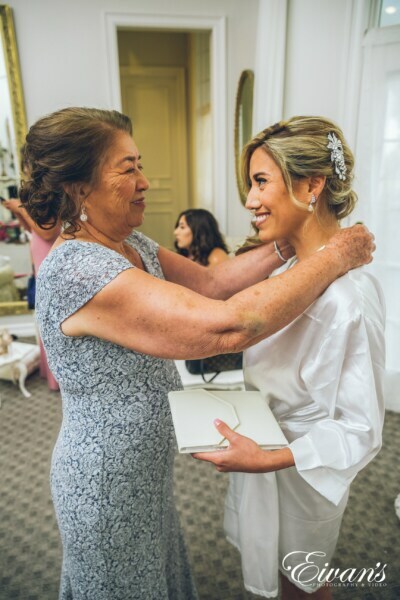 Next, the bride’s family assisted her in dressing in her lovely white gown, which made for gorgeous wedding photos. 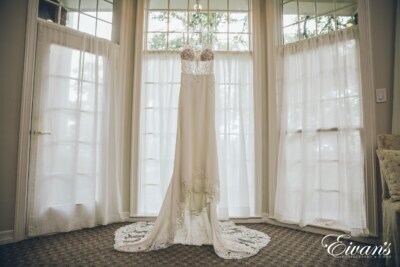 The spaghetti-strapped dress was accented by lustrous lace and a cathedral lace train. 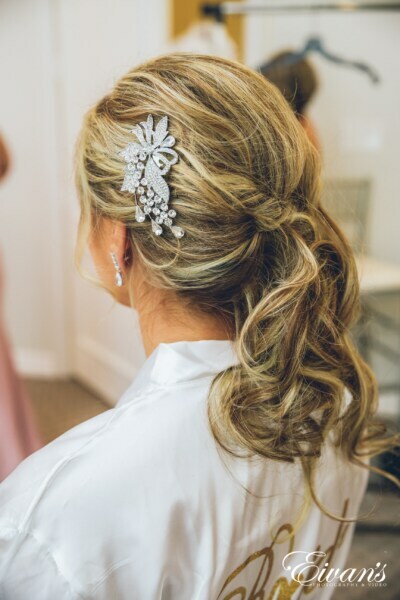 Veronica’s flowing locks featured large curls swept to the side, accented with a gem-encrusted hair embellishment. 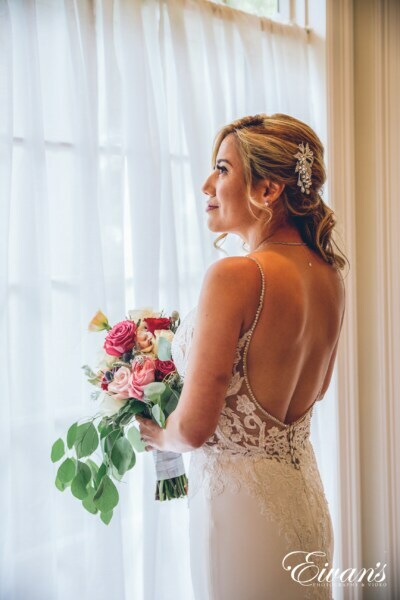 Her flawless hair flowed past her shoulders. 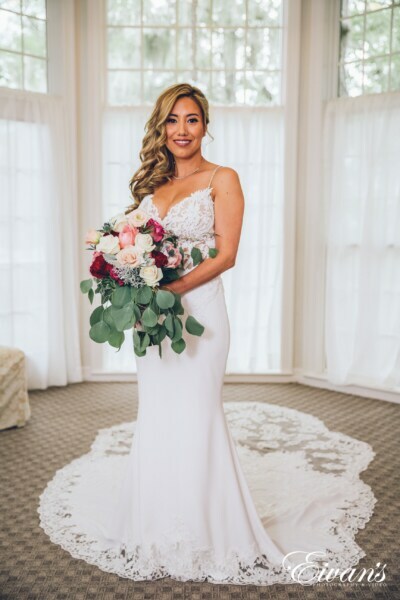 The bride posed with her colorful wedding bouquet featuring roses in her chosen wedding colors: a variety of reds, pinks, and whites, all accented with fresh greenery. 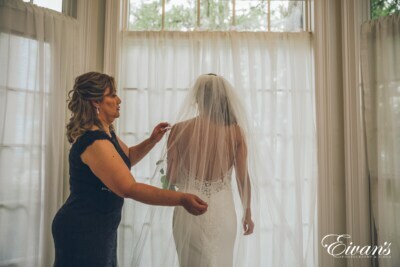 Veronica then donned her spectacular cathedral veil of illusion just before she departed down the aisle with her family toward her waiting groom. 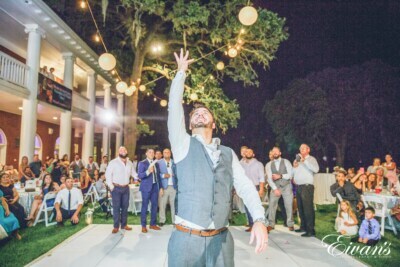 Cason was just as handsome in his dapper grey suit with a silver tie. 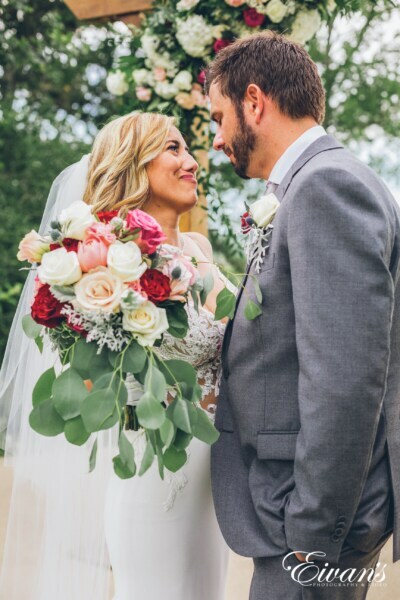 His boutonniere featured roses and accents that matched the reds and pinks of the wedding theme. 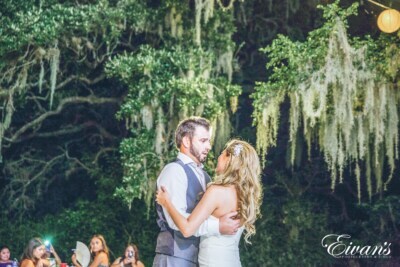 Cason watched lovingly as his bride walked centered between her parents down the aisle. 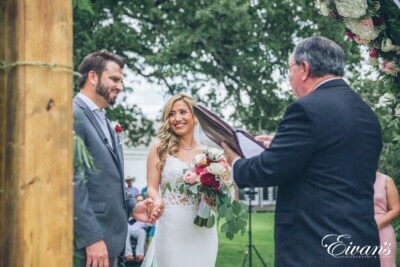 The happy couple joined hands and made loving and meaningful wedding vows to one another, witnessed by their friends, family, and the bridal party. 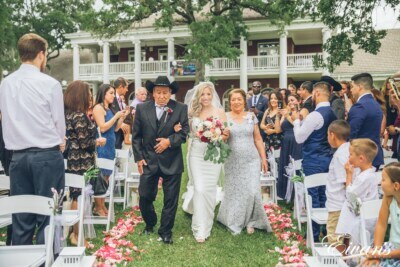 The beautiful ladies supporting the bride wore deep rose pink gowns with a halter neckline, while the gentlemen accompanying the groom wore handsome light grey suits and silver ties. 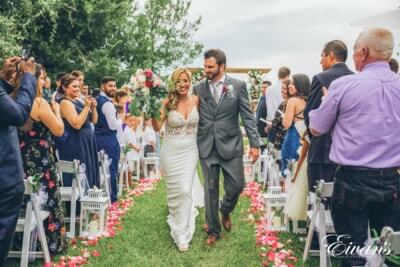 After exchanging “I dos,” the fun couple and their equally lively bridal party departed the ceremony. 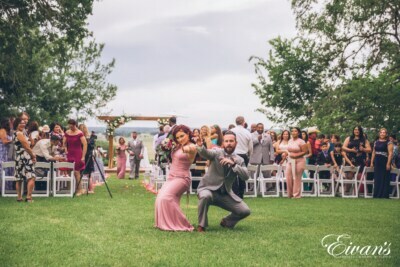 We loved photographing their fantastic poses as the wedding party exited. 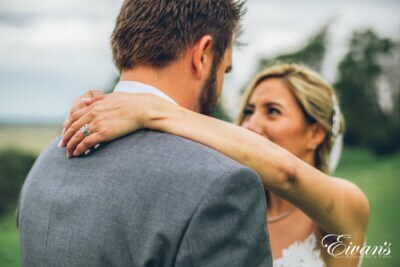 The couple looked lovingly into each other’s eyes as we photographed them immediately following the ceremony. 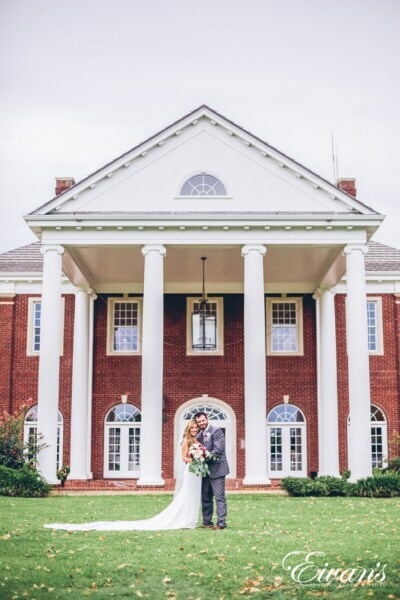 Veronica and Cason posed in front of the stately columns of The Mansion at ColoVista, a perfect backdrop for this mid-summer evening. 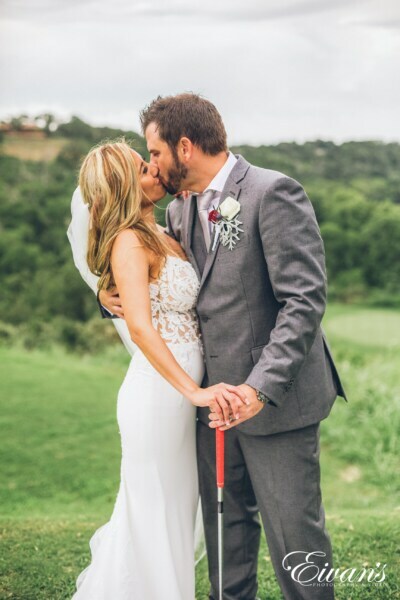 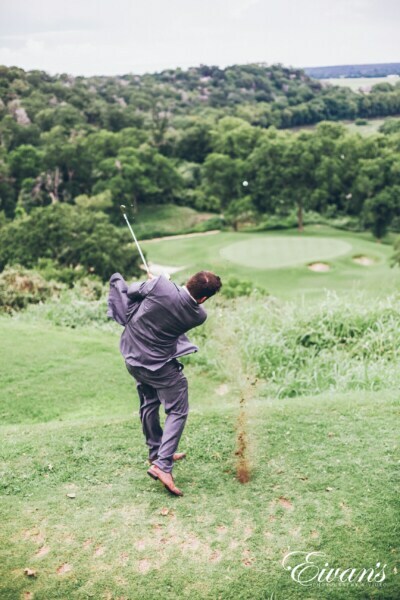 Cason’s love of golf played a large part in their wedding photos, with him and his new bride taking turns putting on the green. 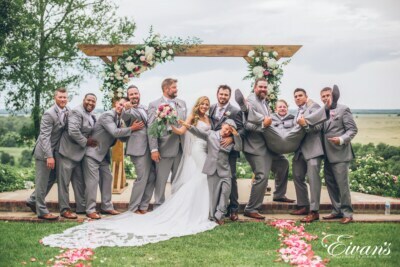 The groomsmen then had some fun while taking their group photo in a variety of active and hilarious poses. 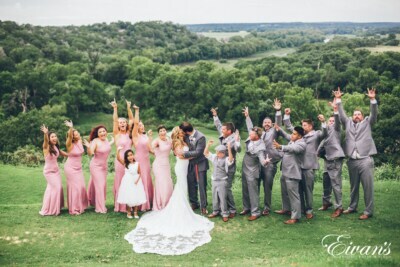 The entire bridal party joined together for a fun and romantic group shot, witnessing a kiss while looking on with glee and happiness for the couple. 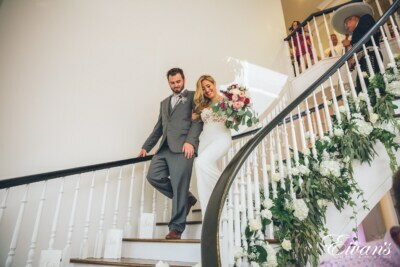 As Veronica and Cason made their way to the beautifully decorated reception, they descended a grand staircase adorned with milky-white florals and lush greenery. 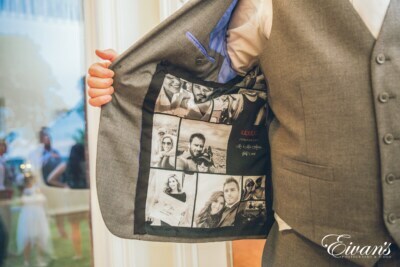 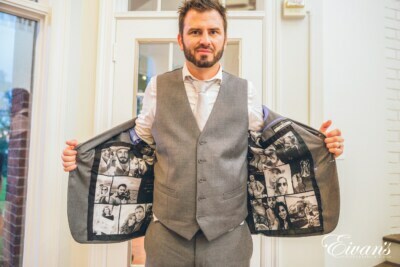 The groom showed off his custom-made suit jacket, which had beautiful black-and-white photos of the couple sewn inside. 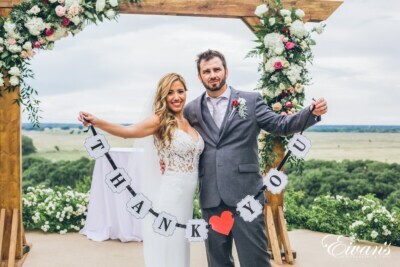 We loved this special detail, not only for its ingenuity but also because it showed the depth of love between Cason and Veronica. 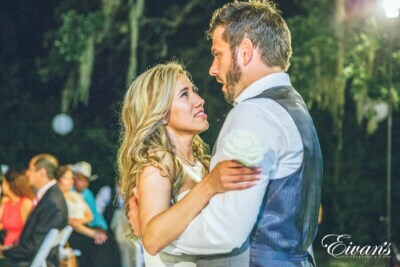 The couple was serenaded by one of the beautiful bridesmaids before taking the dance floor. Veronica and Cason enjoyed their first dance as a married couple under the stars, surrounded by trees accented with Spanish moss. 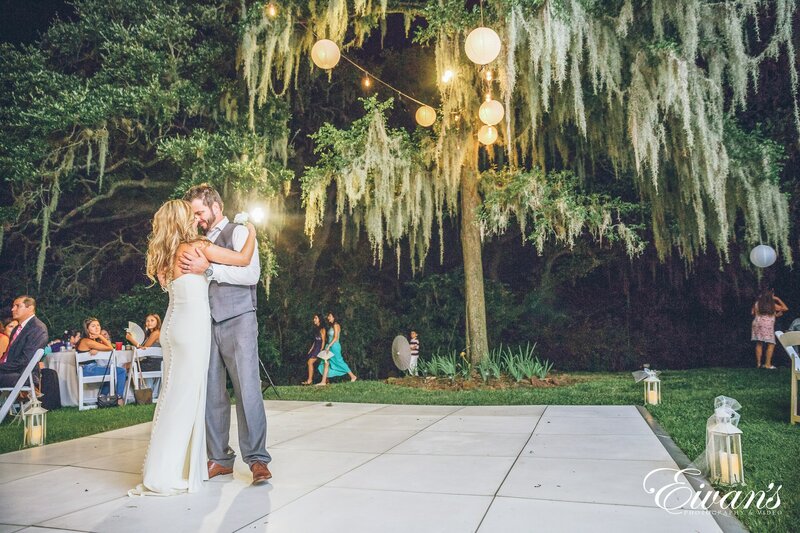 The outdoor lighting contributed beautifully to the evening and provided the perfect conditions for their photographs. 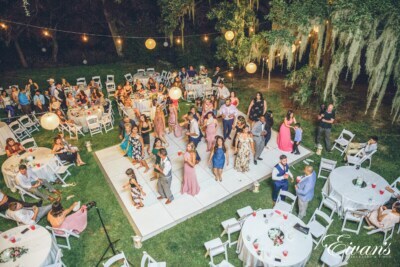 The happy couple and their guests danced the night away on their own special dance floor. 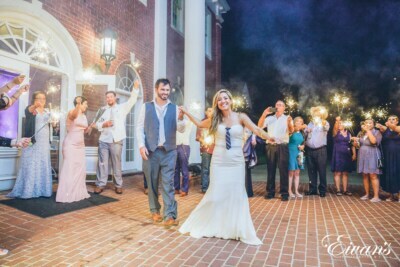 After the playful tradition of throwing the wedding bouquet and the bride’s garter, the couple departed the reception in a spray of sparklers waved by their guests and bridal party. 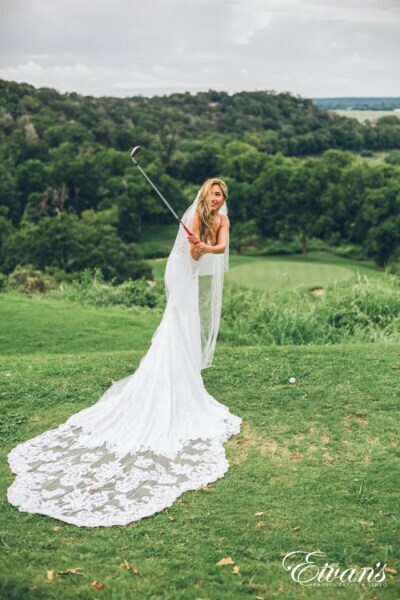 What a fun tradition, perfect for the summer season! 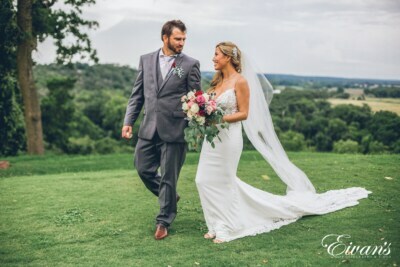 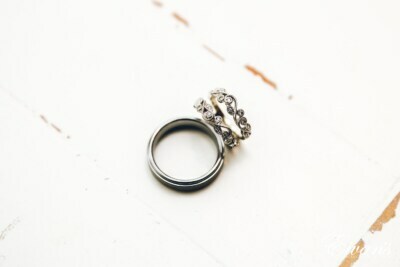 Our austin wedding photographer enjoyed photographing this special day in Veronica and Cason’s lives! 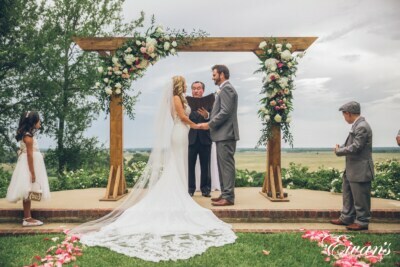 Their ceremony and reception were perfectly set for a gorgeous summer evening, accented with perfect weather. 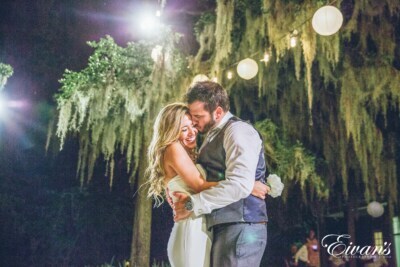 Their romantic summer celebration was elegant and fresh, ripe for this time of year. 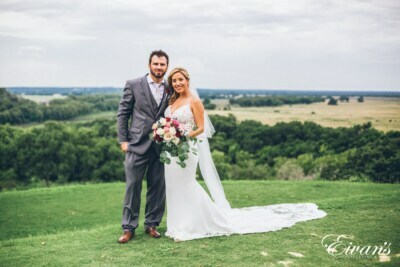 Veronica and Cason looked so incredibly happy and in love the entire day. 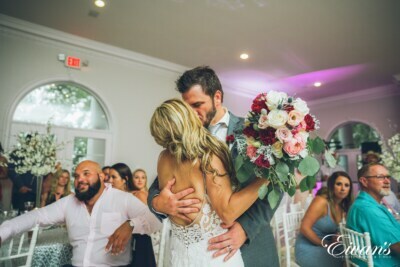 This fun and playful couple displayed excitement for the love they had for each other from beginning to end. 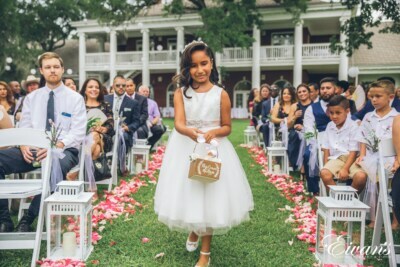 We hope we helped contribute to one of the most memorable and exciting days of their lives. 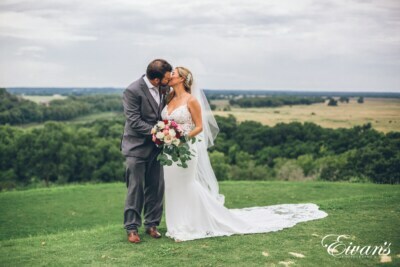 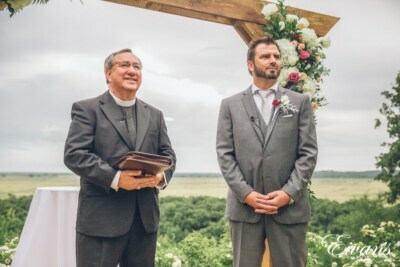 Their guests, family, and bridal party all exhibited love for this amazing couple all day long. 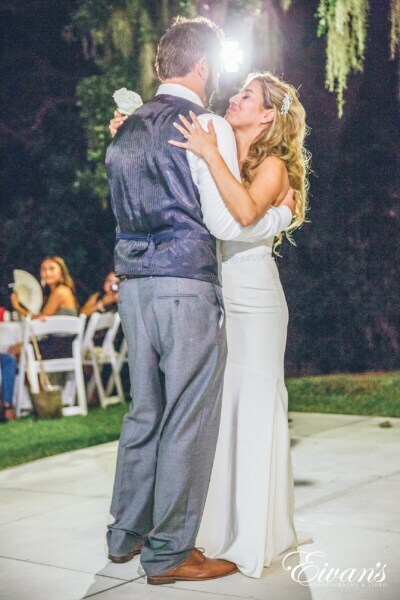 We hope the time we shared with the couple and their family helps bring back special memories for many years to come!